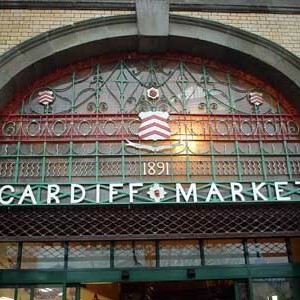 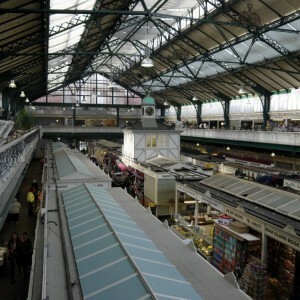 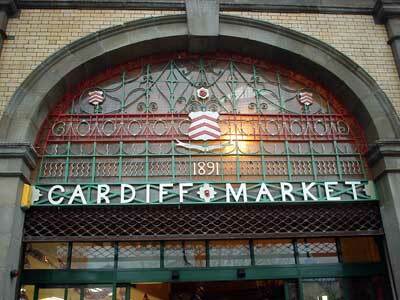 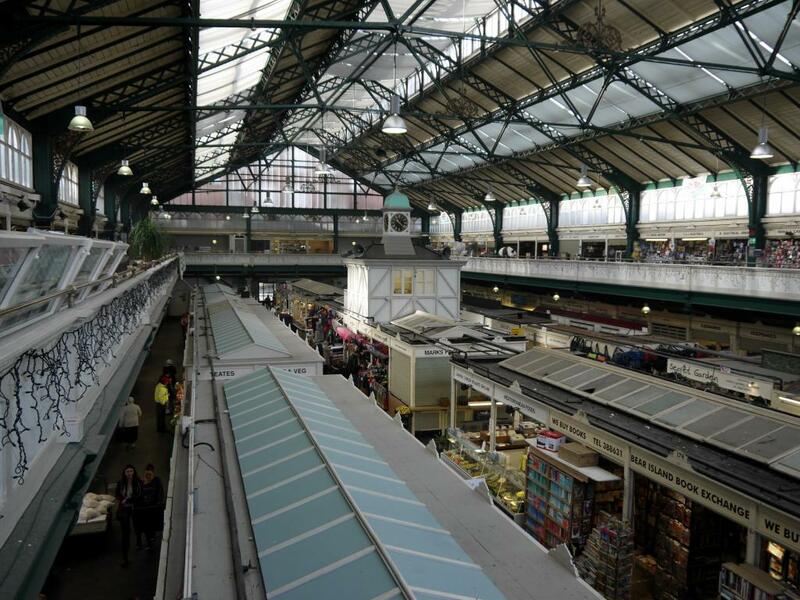 The Victorian market in Cardiff City Centre is worth a visit for a gaze at the structure along, it’s really a beautiful place. 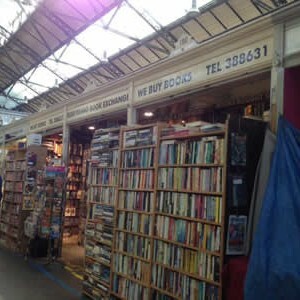 However, for years now, nestled into one of the central aisles facing a fruit and veg stall has stood Bear Island Book Exchange. 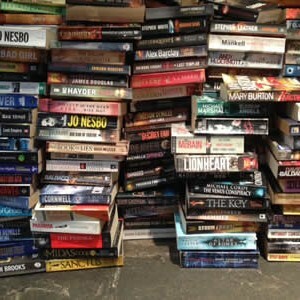 I use it quite often so this week I snapped some pictures so I could share it with you! 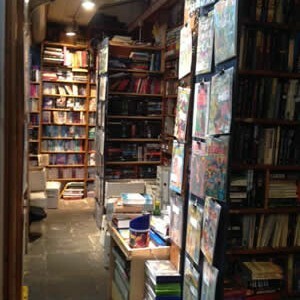 The owner is really friendly and is pretty good at locating his stock too, which is a good job as the place is crammed to the rafters! 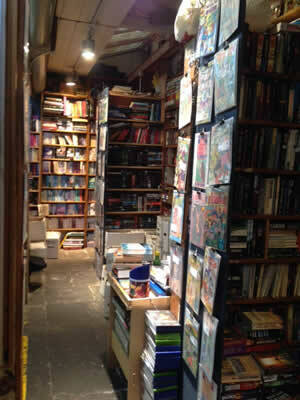 It’s tiny inside, standing room only with floor to ceiling books and the original Victorian paving slabs on the floor. 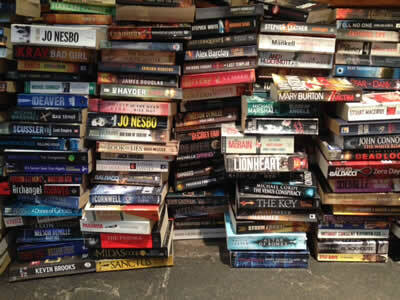 Look around and you’ll see bookshelves, stacks of books on the floor, stacks of books on the shelves, boxes of books around the counter, books, books, books! 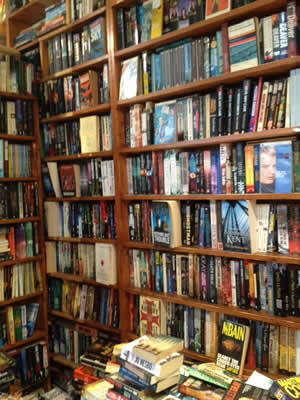 The Bear Island Book Exchange sells, buys and trades used books and the stall is really reasonably priced! 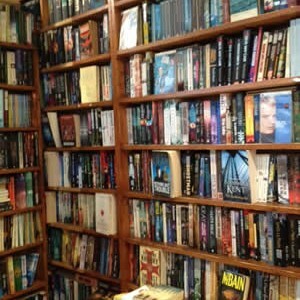 I bought four books last time I visited, including classics like Fahrenheit 451 and Ender’s game and got change from £10. 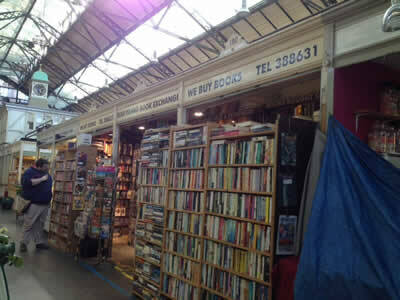 It’s a bibliophiles heaven, and while it may be small, the market isn’t, the upper floor is full of cafes and the entire market is crammed with little gems and treasures too!